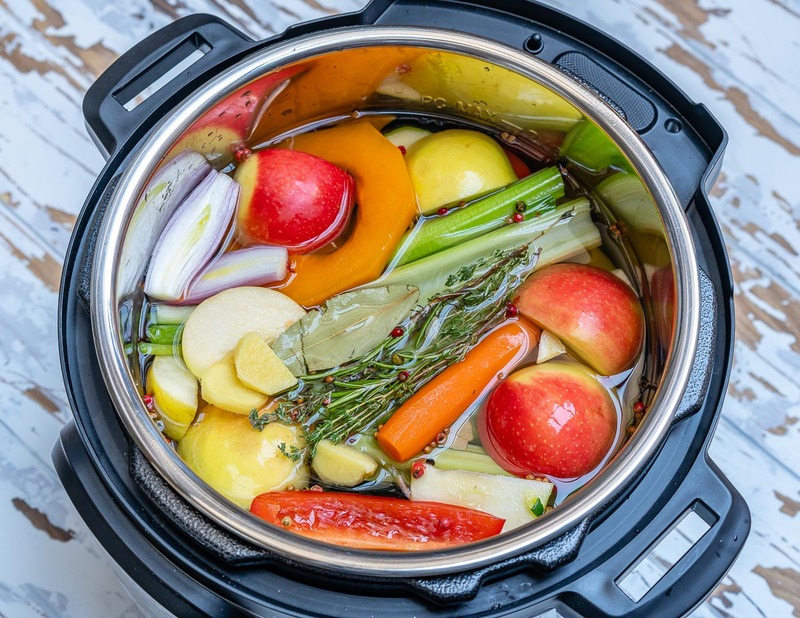 A beautifully aromatic, and flavorful base for any soup or meal! 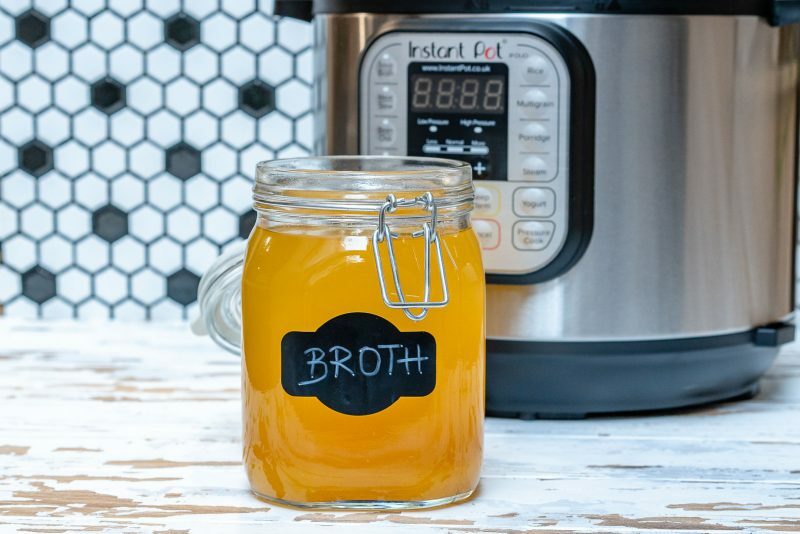 I LOVE knowing what is in my broth! This recipe is also very interchangeable and forgiving, so use your very favorite herbs and veggies, or whatever you may have on hand. 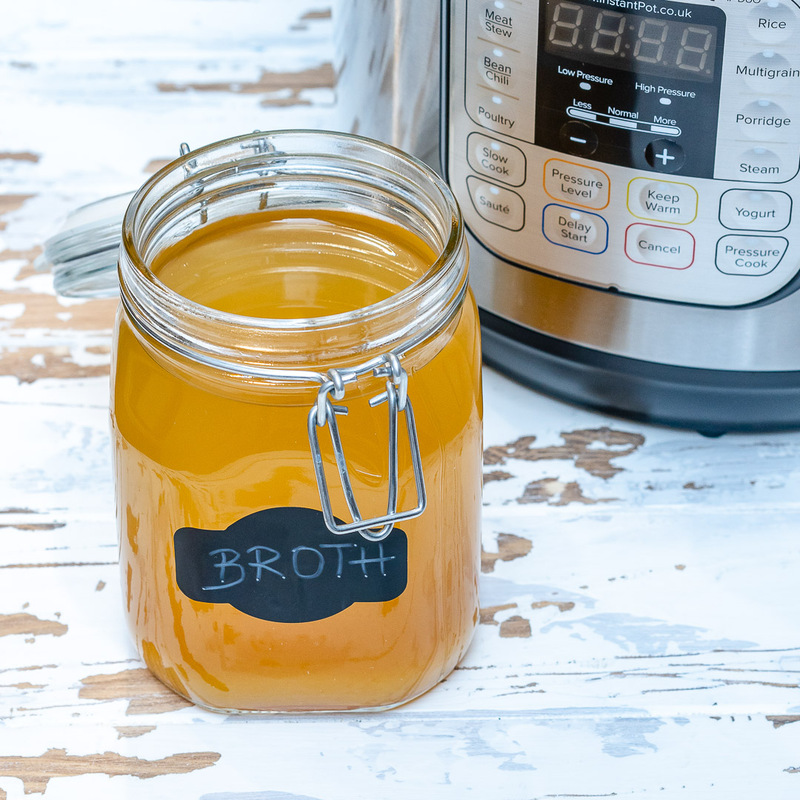 You’re going to LOVE how your house smells while this broth is cooking! 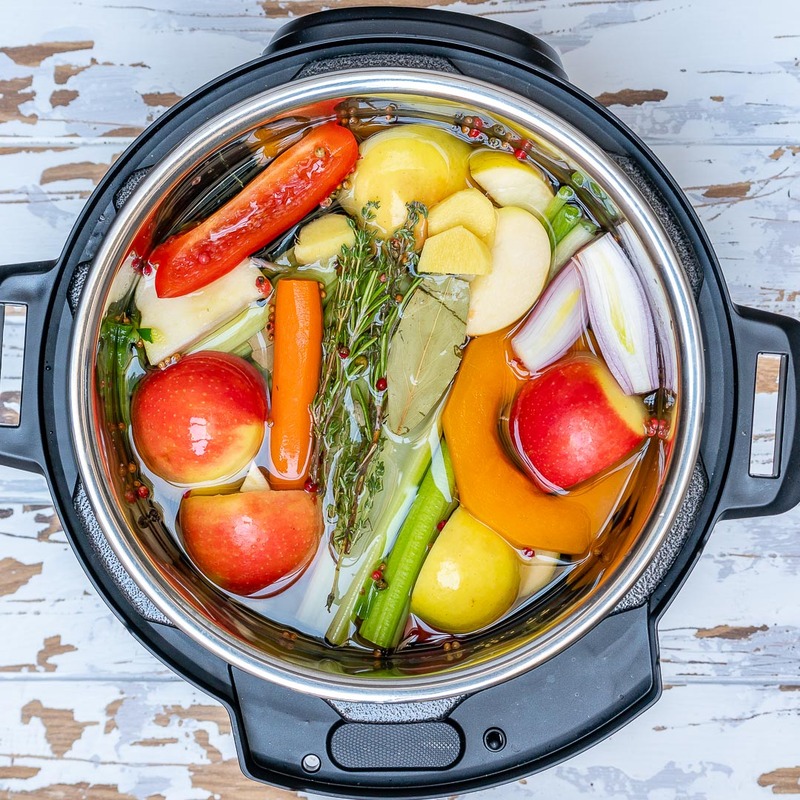 I’ve included Instructions for Instant Pot, Crockpot, and Stovetop. 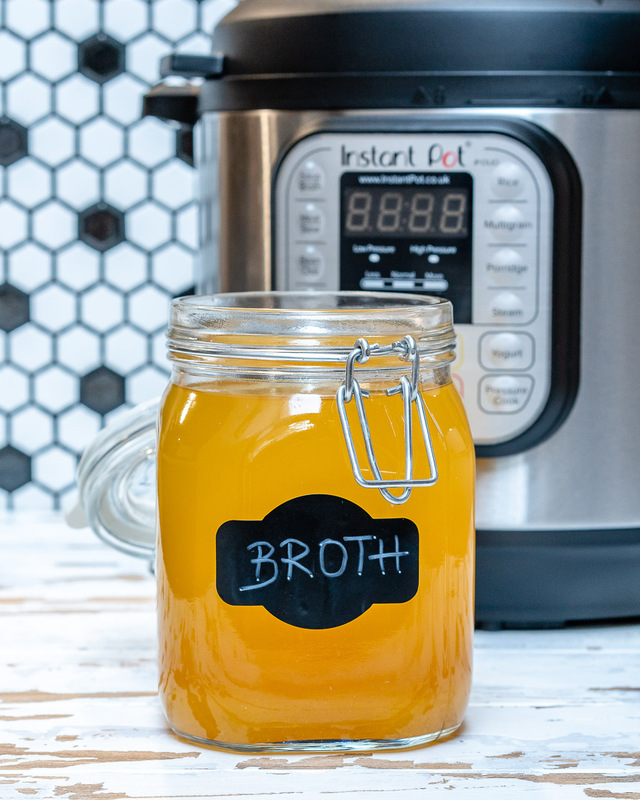 Place everything in your Instant Pot. 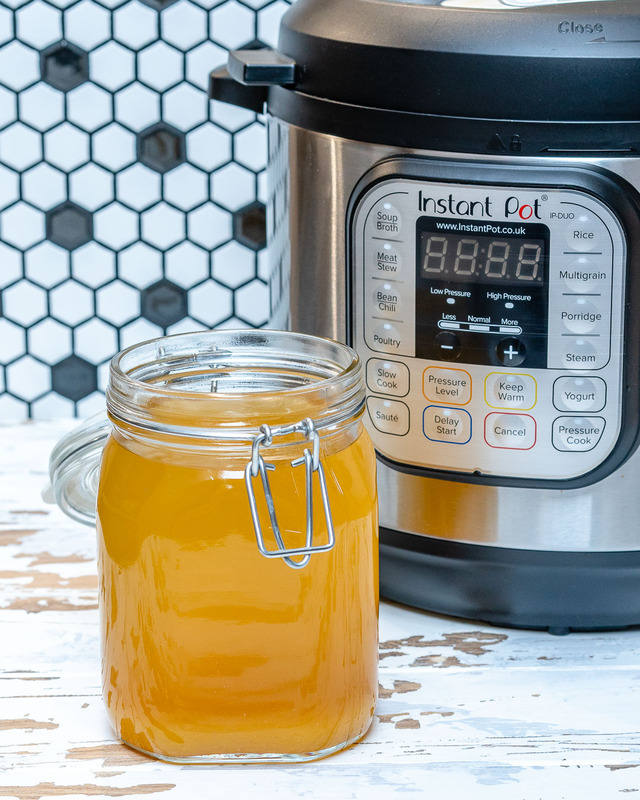 Once time is up, allow Instant Pot to release pressure naturally. It should take about 10-12 minutes. Carefully remove the lid allow broth to cool. Strain the liquid through a fine mesh strainer and discard the solids. Store in proper airtight containers in the refrigerator or freeze for up to 3 months. 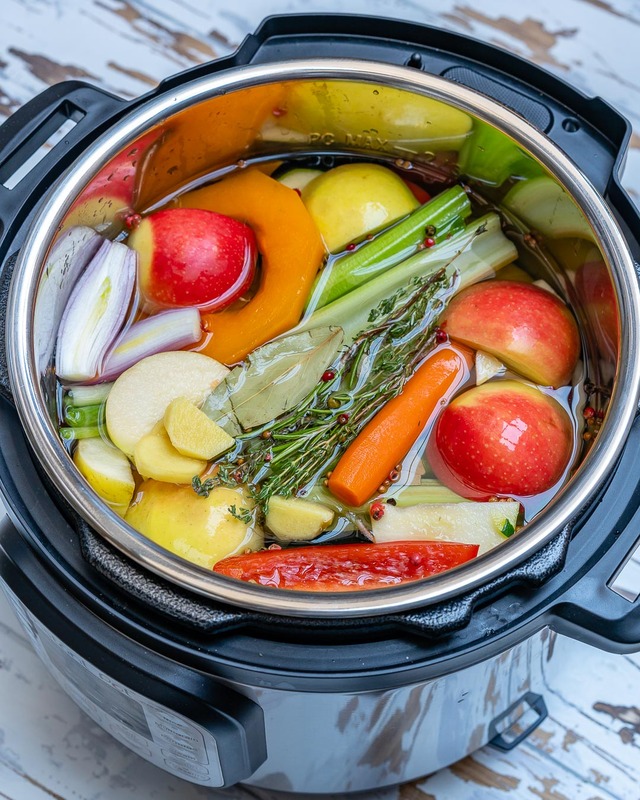 Place everything in a large Crockpot and fill with water so that everything is a few inches below the top. Cover with lid. Allow to cook on LOW for 12-16 hours. Often this means you need to reset to keep your machine going. 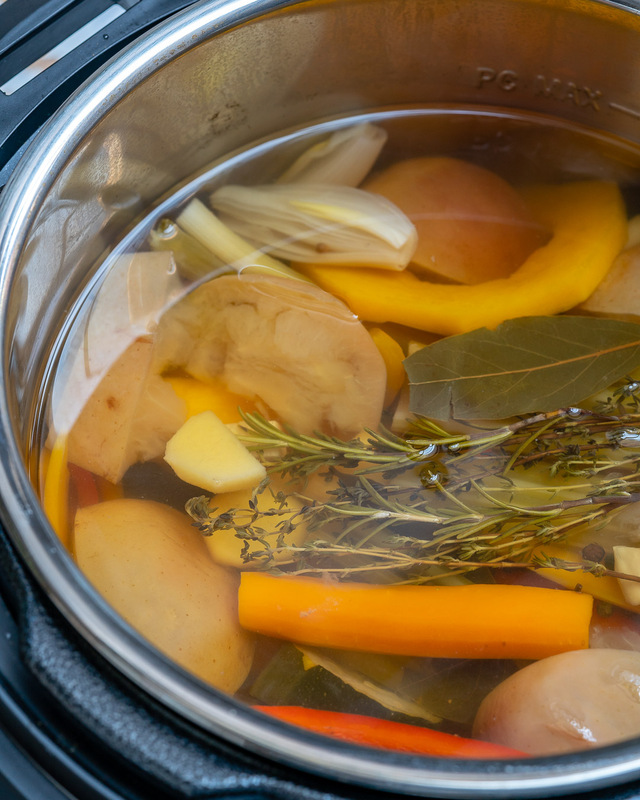 In a large stockpot add all your ingredients, and fill with pot water several inches from the top. 8 hours, stirring occasionally and possibly adding more water 1-2× if needed.